We are officially on the brink of summer, and no one can stop ice-cream and smoothie trucks from taking up the sidewalk space next to your favorite Starbucks. The sunlight definitely brought out the sandals, the short shorts, and an endless sea of half-naked NYU students in Washington Square Park, trying to bask in what short-term sunshine they can get. Not everyone is among the lucky few to have attended Coachella: one of the biggest music and cultural events of the year; but you can certainly get inspired by these festival-must haves and styles: for hair styles, we saw a lot of minuscule braids decorated with gold rings, in long locks of tousled, messy hair. Updos as seen on Harley Quinn, bandana wrapped beach waves, and half-up, half down buns were among the many styles we saw this past weekend. The most popular style that blew up the Internet prior to Coachella as seen on many beauty bloggers, was the glitter infused braids. 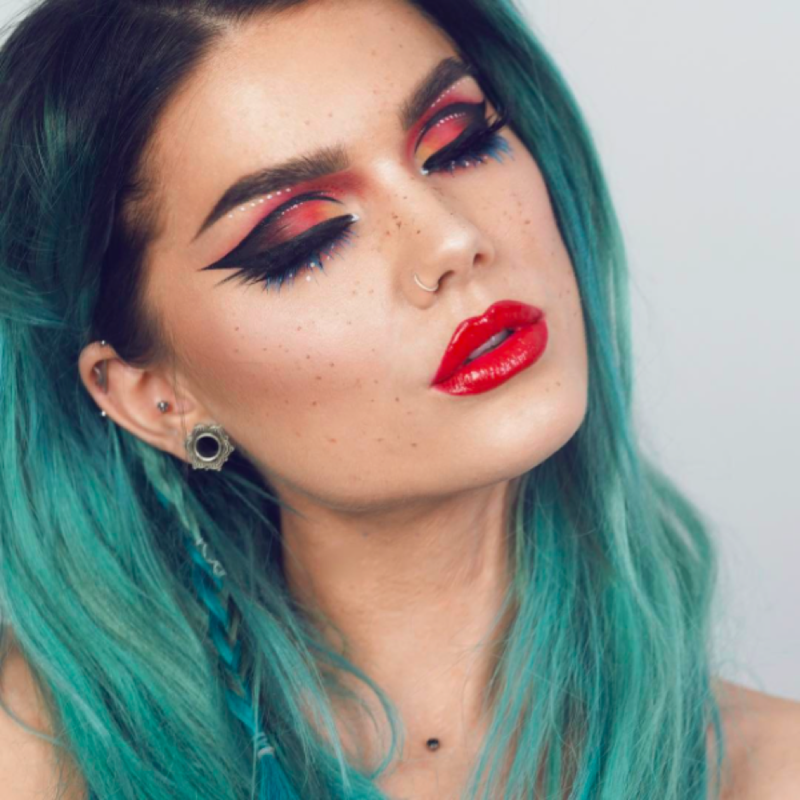 As for much-anticipated beauty styles, the beauty community has been kind enough to have provided us with the many looks and how-tos on YouTube. 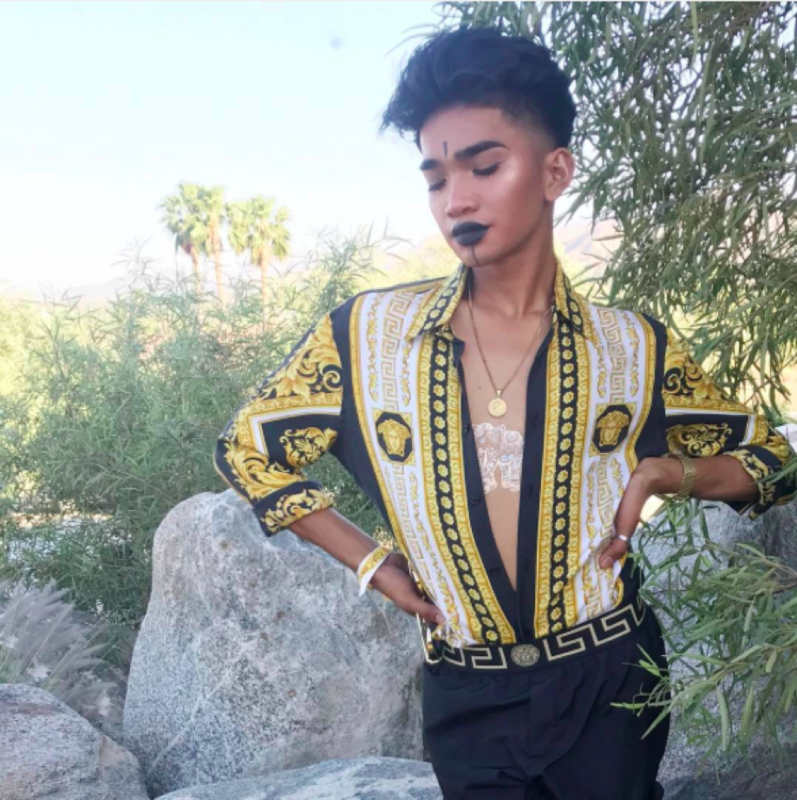 A personal feature that I've seen are the flash tattoos shown on many influencers like @bretmanrock, presented at the music festival. Because the heat may be too overwhelming for any full face makeup looks shown by beauty bloggers, many Coachella attendees got creative with colorful eyeliners and sparkling sticker around the eyes. Some of my favorite looks are @lindahallbergs eyelid looks with a bunch of eyeliners and dotting techniques. Despite many cultural backlashes, @ladygaga also wore a bindi, an accessory worn at the center of your forehead between your eyebrows as well. For that, she wore the fuschia bindi on the bridge of her nose that perfectly aligned with the bright indigo eyeliner she wore on her lower lashline. With all the styles aside, there are some steps that I recommend you follow to take care of your skin. Applying sunblock is a ritual you should be participating in already - and this goes for any given day out where your limbs are exposed to the UVA and UVB rays. I get it, putting on lotion is already such a hassle, so why would you put on sun block when you want to tan? I hope you know that even with sun block on, you can still get that sunkissed glow. Supergoop! Antioxidant Sunscreen Mist with Vitamin C Broad Spectrum SPF 50 ($13) is a non-aerosol mist that is perfect for your Coachella days. I can't imagine also leaving my home without lip balm either, and I would recommend one with SPF because even your lips can be affected by the sun. It can get challenging in the sweaty atmosphere to maintain your flawless skin for the next 12 hours; I recommend tinted moisturizer by Josie Maran, the Argan Daily Moisturizer SPF 47 Protect + Perfect ($36) product just may be what you need to balance a music festival atmosphere. To lower the amount of products you may need to carry around, the Milk Makeup Lip + Cheek ($24) is a great product to give your visage a natural flush of color.